Breakfast is the hardest meal for me. Actually, let's face it, getting out of bed is hard for me! I want to be a morning person, but that means I have to give up late nights. And every night that I crawl into bed, I say "tomorrow, I've gotta go to bed earlier!" But then I'm there again the next night. Having elementary age kids who ride the bus definitely gets me up and going in the morning. 6:50am my alarm goes off and this morning it interrupted a dream where I was backing into another car. Glad I got out of that one! Moving on, I've never been a huge breakfast fan, but maybe that has to do with snacking before bed. Either way, cereal has never cut it. If I have some homemade granola on hand, then bring on the soy milk and we're good to go! However, I happened upon a new idea thanks to a Women's Health magazine my sister signed me up for! (Shout out to you, Nan!) 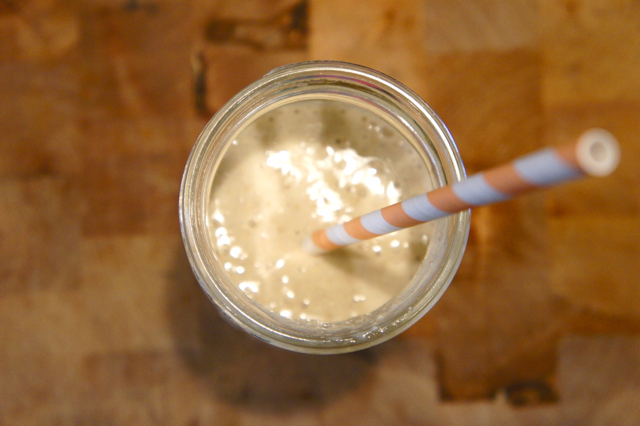 An oatmeal smoothie. It gives you a good base to get going in the morning, enough to last until lunch without getting the munchies at 10am. There was no exact recipe in the magazine, so this is my version. Play around with this one to make it something that you love, too. 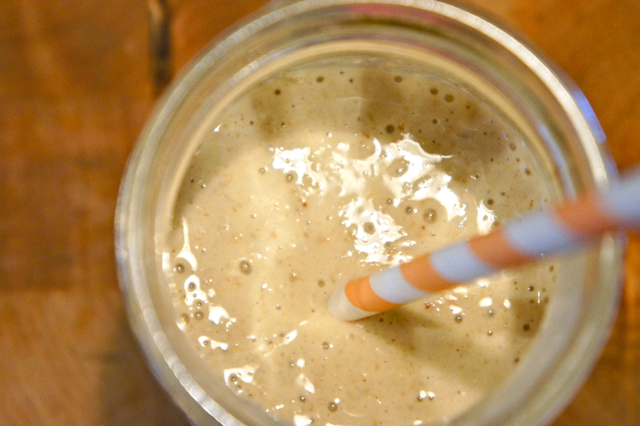 Mix everything in your blender, stick a straw in it, and enjoy your morning! 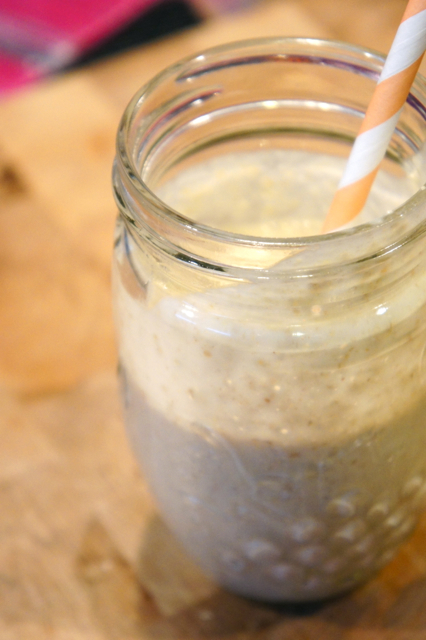 This sounds yummy, but do you use dry oatmeal or cooked oatmeal? You're right, I didn't specify! I used dry regular oatmeal. I'm sure the quick oatmeal would work just as well. I'm not sure about the consistency if cooked oatmeal was used. Thanks for clarifying! I just made this for breakfast so I could do the calorie count for you. This makes 2 servings, each serving is 447.5 calories. I also adjusted some of the ingredients portions for a better smoothy, as well as adding ice cubes. Having it be a colder drink tastes better than luke warm! Enjoy!